image: A group of furnace-men pull a red-hot steel section from the furnace in the background. Foreground left is a collection of 'dogs' used as pins set into the perforated floor to hold the template in position, around which the angle iron would be bent. 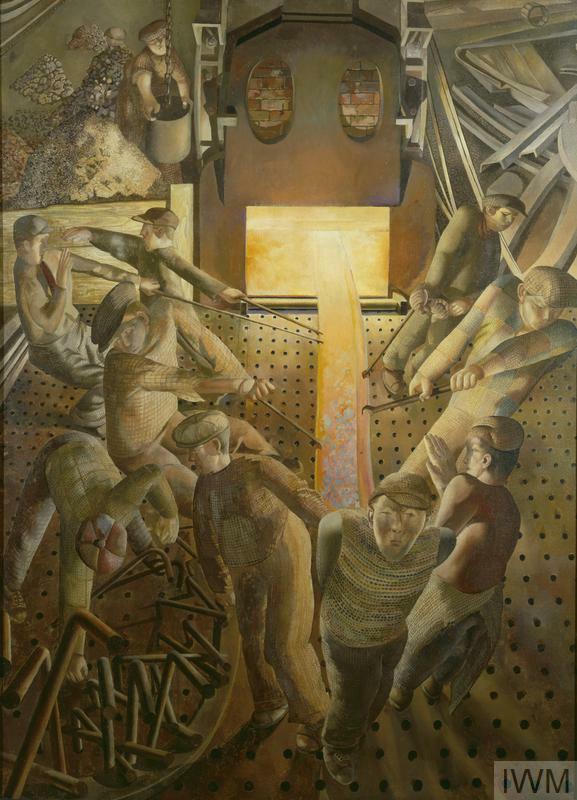 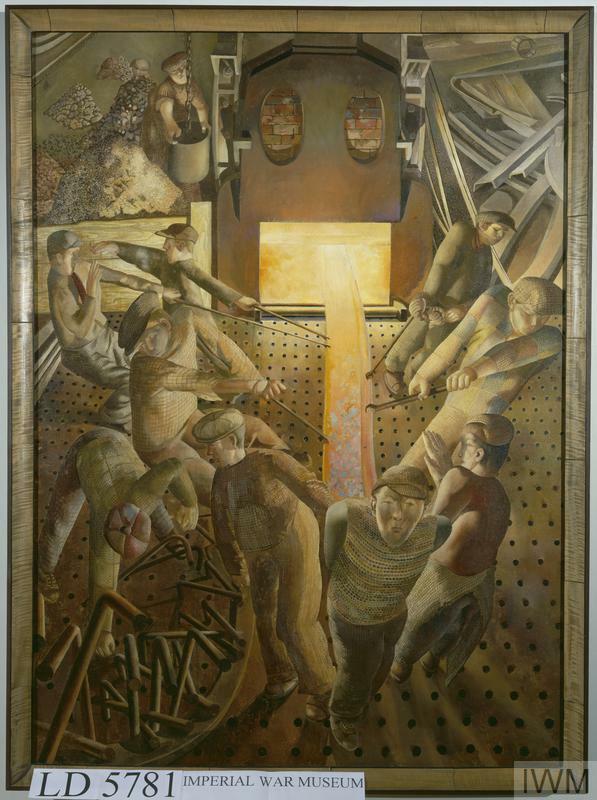 A man tends the furnace in the upper left of the composition, and a pile of angle iron appears in the upper right.